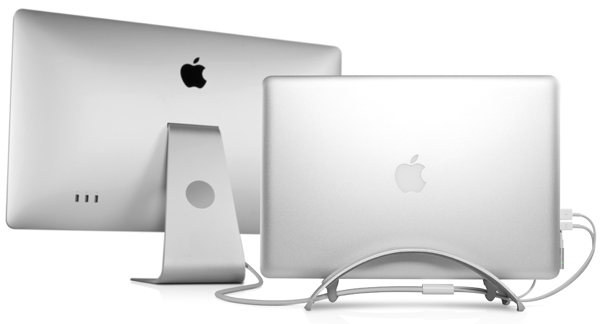 Twelve South has just updated their popular BookArc aluminum arc desktop stand compatible with the MacBook Pro 13", 15 and the behemoth 17". The BookArc has been renamed and given the "pro" tag. What's new? It's got a new cable management system to better manage all those pesky cables you need to connect if you're using the Apple LED Cinema Display with your MacBook Pro. Hidden underneath the BookArc Pro are two handy cable managers that not only organize and tidy up your workspace, they also provide an anchor for all those cables to help keep them in place without falling behind your desk. The price remains unchanged at $49.99, and it's available right now with free shipping. You know you want one.